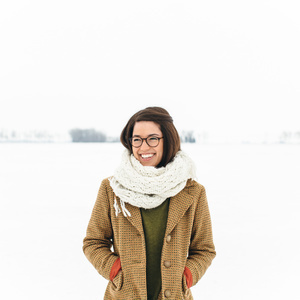 Molly Yeh is one of the most upbeat people we know. She collects sprinkles from around the world and creates some of the most joy-filled fusion food we’ve ever heard of, like scallion pancake challah bread. Need we say more? The Food Network loves all her positivity, too, and tapped her as its latest star. The second season of her show, Girl Meets Farm, will begin Nov. 11th. Molly joined host Kerry Diamond at The Wing in Dumbo to talk about her adventures and to share what she’s loving food-wise right now. Big on her list? Recipes that are “stupidly easy.” Delicious food that’s simple to make? That’s a recipe for happiness if we ever heard one. In the second half of our show, Kerry has a special conversation with Carolyn Allen, retired Silicon Valley restaurateur and granddaughter of the founder of Contadina, the famous line of tomato products that turns 100 this year. Contadina is graciously supporting our very first Cherry Bombe 100, our list of 100 Women who inspire us every day through their creativity, energy, humanity and hard work, so we were thrilled to talk about the brand’s history with Carolyn. Be sure to check cherrybombe.com today to see who is on the list.